We have plenty of deer near our new house. I spotted this one (and one of its buddies) chilling directly in front of our house door. Hunting them must be really challenging. 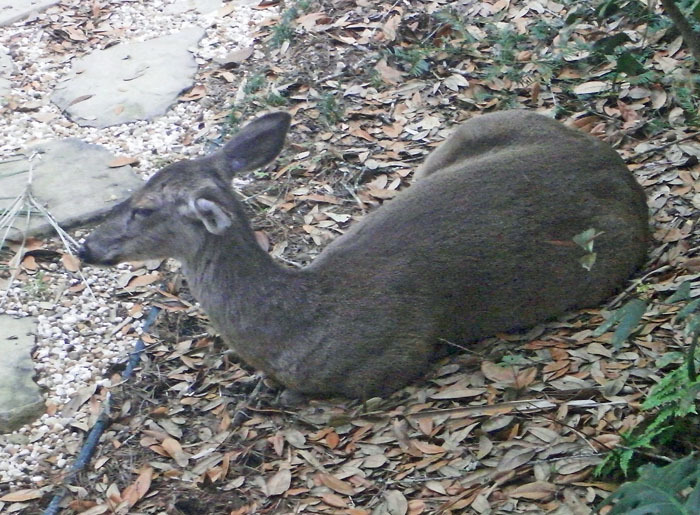 According to the UF article, Florida is home to 700,000 deer.